This isn’t really a blog. It’s more of a destination. Somewhere you can come to as a reference whenever you are stuck trying to use or find your UNFAIR ADVANTAGE or put yourself in an UNFAIR POSITION to succeed. Treat IPB Media like a “living text”. This is an idea that I got from Rollo Tomassi, author of The Rational Male, one of my favorite books that has had a massive impact on my life. The idea behind a “living text” is that it’s not a “read-it-once-and-forget-about-it” type of blog/website/book. 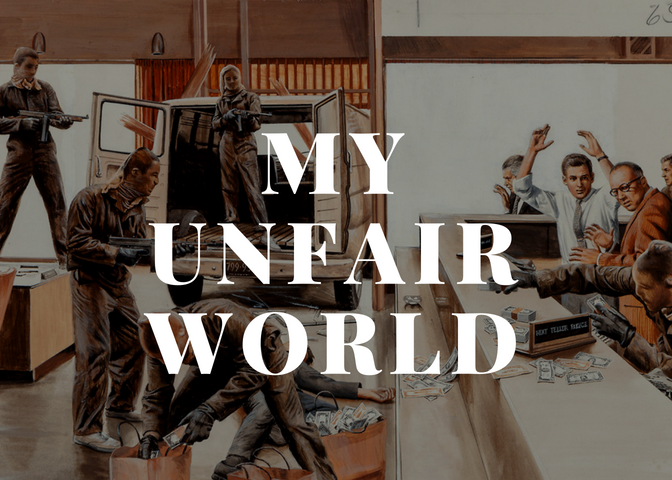 It’s something that you keep coming back to many times in your life to help you navigate an UNFAIR world, create your own UNFAIR advantage, and use it to put yourself in an UNFAIR position to succeed. Show me an Apex Man, and I’ll show you a man who unapologetically wields an UNFAIR ADVANTAGE from an UNFAIR POSITION. I have yet to see this be disproven. And I doubt I will. Part of the beauty of creating your own UNFAIR advantage and UNFAIR position, is that these laws of nature operate based on Principles. What this means is that when you operate based on Principles, you can simplify the way you approach things, and give yourself more flexibility to choose your actions based on which specific path will make the situation most UNFAIR in your favor. What’s the right method? Whichever one gives you an UNFAIR ADVANTAGE and puts you in an UNFAIR POSITION to succeed. All of these people have different goals, different motivations, and vastly different methods that they use to conquer their goals. ALL of them wield an UNFAIR ADVANTAGE from an UNFAIR POSITION. They choose their methods based on whichever one will give them an UA from an UP. This is the one principle/law of nature that all top performers follow. UA/UP. I have yet to find any example that can disprove this statement. And operating by UNFAIR Principles is the way that you choose your methods. All of these Apex Men wield an UNFAIR ADVANTAGE from an UNFAIR POSITION. They all got to the top by finding an edge that allows them to dominate. Whether they consciously know it or not, they all operate by UNFAIR Principles. How Can You Use This Site To Be UNFAIR? How can you use this website as a resource, a guide, and a set of guiding Principles to create an UNFAIR ADVANTAGE and put yourself in an UNFAIR POSITION to succeed? First, go through the IPB MEDIA twitter account. There’s lots of gold in there, from questions you can ask yourself, to real actionable advice teaching you precisely how you can cultivate an UNFAIR ADVANTAGE. 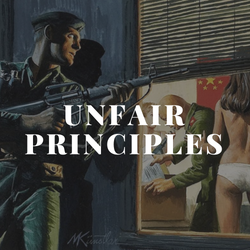 Second, check out the UNFAIR Principles page on this site. You can find the link HERE. Third, read through the blog posts. As I mentioned earlier, I have designed this site to be a “living text”, and a guide so that you can continue to come back and apply the principles, lessons, and stories on IPB Media to current challenges and situations in your life. The blog WILL have some excellent content, but blog posts are more like musings and commentary as supposed to actual “how to” case studies and mini-courses. You can get a TON of value from this blog, and I encourage you to read every post, and every page on the site.